“Just one more,” as I had boldly just declared that with my last glass of wine. 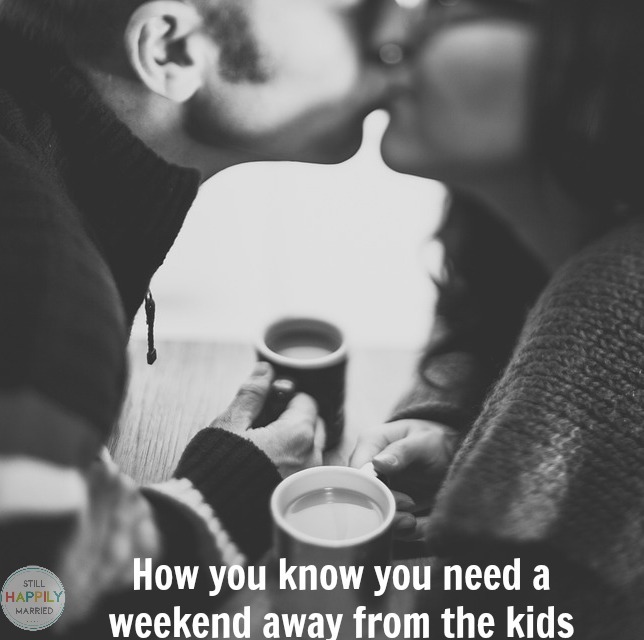 My husband and I just went away for the night – out of state – to a wedding, leaving our 4 young children behind, for the very first time over night. We had a 6 hour car drive together, and it was quite a transition to acclimate to the lack of drama that we were used to: he’s looking at me, she hit me, I’m going to throw up, I need to pee, the baby just threw her sippy cup again…and so it goes. But not today. We drove in peace and had some silence. Some conversation. Some laughing as I kept asking for just ‘one more bite’ of my husband’s bagel that I said I didn’t want. It’s amazing when you have found the one that good conversation is equally as nice as comfortable silence. Both are refreshing. During the ceremony we were without a baby on our laps or someone trying to squeeze between us; instead, he had his arm across my leg, and I sat closely next to him. During dinner, we laughed as we talked with other parents at our table about the daily adventures of marriage and parenthood, and at times, laughed so hard that we cried. Throughout the entire reception, we drank ‘just one more’ and by God, we danced. This very evening I was ‘celebrating’ 9 straight years of being pregnant and/or breastfeeding. For such a large portion of this past decade it was no longer about me nor about him the majority of the time, but about our children – our growing family. But tonight was different. It was about him. It was about me. It was about us as a couple and us still as young individuals who enjoyed, and desperately needed, time out socializing. It was about letting down the Mommy Gates of Anxiety, these pillars which are hard to take down, and enjoying not having to jump up when someone spilled their drink or referee multiple fights an hour between our toddlers or be summoned to change another diaper or help someone on the potty. We laughed. A lot. I was surrounded by women who I swear, God had strategically placed to be near me that had me laughing so hard that it hurt. It hurt from laughing so hard. It hurt from smiling so much. It from drinking and dancing so long. But you see, I needed that hurt. We had one more drink each time we said it would be our last. We danced until our feet could no longer move as each song that came on was another favorite. It’s amazing what a night out, an evening away, can do for you and your relationship…and well, frankly, a mother’s well being. It turns out that one more drink, one more hour, one more song turned into, well… just one more. And it turns out that adults can use – and need – “just one more” as much as our kids do.